Alaska pollock is the nation's largest food fishery, usually producing more than 3 billion pounds each year. The flaky whitefish dominates in fish sticks, fast food sandwiches and surimi "seafood salad" blends — but most Americans don't even know what a pollock is. Trident Seafoods is intent on changing that by bringing the fish directly to the people. "It is the most abundant, certified sustainable species in the world. It's our mission to show how this delicious cousin to the cod fish can be enjoyed one serving at a time," said Lo Reichert, Trident's mobile marketing manager of The Fork & Fin, a retrofitted FedEx truck turned into a flashy mobile kitchen. The truck debuted a few weeks ago at Seattle Seahawks games outside of CenturyLink Field in Seattle. "We wanted a mechanism to go from sea to street and let us talk with people about the blessings of wild Alaskan seafood, and particularly, Alaska pollock," he said. 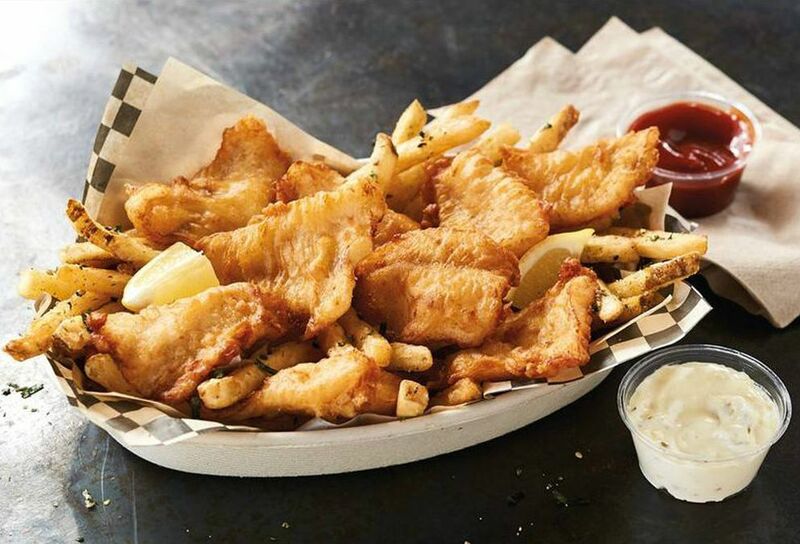 The small menu, priced at $9 to $10 per entree, includes fish and chips with Alaskan Amber beer batter, pollock burgers, crispy fish tacos, grilled Alaska pollock salad and one offbeat offering: peanut butter and jelly fish sticks. "It has fish sticks laid atop crispy fries, drizzled with a raspberry chipotle sauce and topped with crushed peanuts and a peanut sauce," Reichert said. The ultimate goal, he added, is to show people that they can easily whip up pollock meals at home. In addition, The Fork & Fin food truck helps educate people about an overlooked fish that is high in protein, low in fat and packed with heart-healthy omega-3s. The response, Reichert said, has been consistently positive. 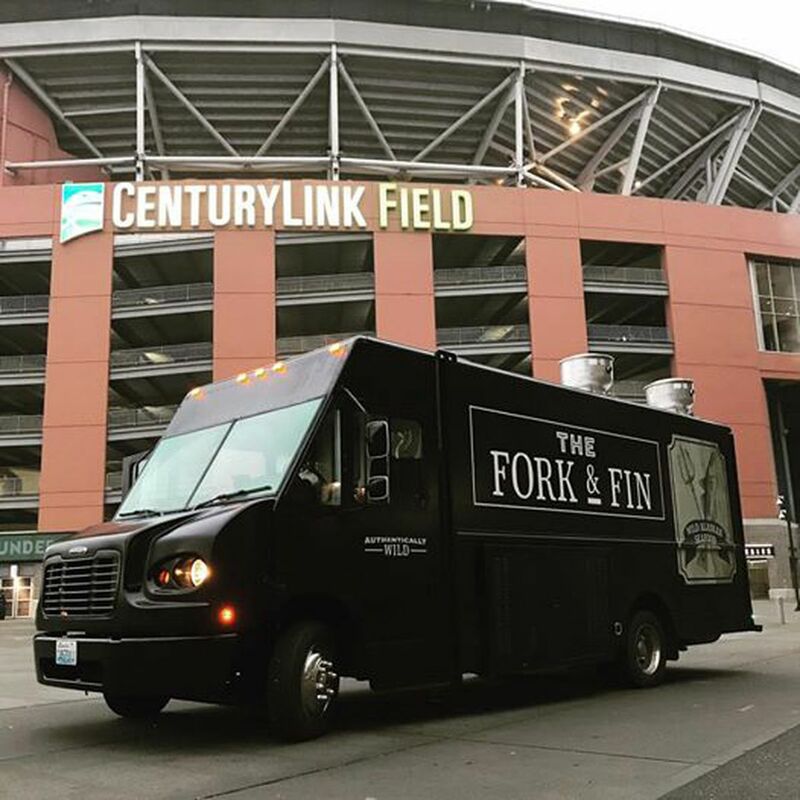 For now, The Fork & Fin also is stopping at business parks and schools along Washington's Interstate 5 corridor, and at charity events and fundraisers. See the food truck's schedule of stops at www.forkandfin.com. A forum next week in Kenai will highlight diverse perspectives on the push to modernize Alaska's fish habitat protection and permitting laws, which have not been updated since statehood 60 years ago. Many believe changes are necessary to reflect challenges posed by large resource development projects; others believe the laws are adequate as they are. While there is common ground among many Alaskans that salmon are a critical resource and their habitat should be protected, the devil is in the details as to what that protection looks like, said Lindsey Bloom, director of United Fishermen of Alaska's Salmon Habitat Information Project, a forum co-sponsor with the University of Alaska Fairbanks. "Our objective is to provide a venue for the public to get educated about the habitat protections, how they are now and how they might be changed," Bloom said. "We want people to discuss problems that exist and some of the changes being proposed, including state legislation and the ballot initiative." The forum will include viewpoints from Alaska Natives, conservationists, oil and gas, mining and fishing sectors, legislators and more. "The purpose is to have a good conversation," Bloom said. "It's not about getting people to agree with each other, or come to conclusions about a specific policy. It is a real opportunity for Alaskans to participate in their natural resource management and to have a voice in the process. "The goal of SHIP is to ensure that commercial fishermen around the state have access to information and knowledge about what is happening, and also that they are at the forefront of weighing in on the legislative process," Bloom said. "We want to ensure that we get to an end result that is in the best interest of all Alaskans, including commercial fishermen who are concerned about protecting their jobs and livelihoods." The Kenai Salmon Habitat Forum is set Thursday, Dec. 14, starting at 5 p.m. at the Cook Inlet Aquaculture Association Building. It will be live-streamed at UFA's SHIP Facebook page. Meanwhile, a statewide petition is gathering up to 45,000 signatures to put the salmon habitat protection issue before the voters next November. "We have volunteers collecting signatures from Nome to Sitka," said Ryan Schryzer, director of Stand for Salmon, a grass-roots group that is the primary backer of the initiative. Schryzer said getting signatures from Alaskans is an easy sell. "When our volunteers talk about this initiative helping to put the standards in place that will encourage responsible resource development and protect salmon for future generations, people are all in and sign very quickly," he said. The deadline to submit the petitions to the Division of Elections is Jan. 15 at the start of the legislative session. A California man has filed a class-action lawsuit in San Diego against Bumble Bee Foods claiming its canned smoked red salmon is falsely labeled as wild-caught from Alaska and not smoked at all. Undercurrent News reports that the suit says the fish is actually farm-raised coho from Chile with red color added, along with smoke flavoring. It alleges that Bumble Bee is violating state marketing laws on false advertising and consumer protections. Bumble Bee recently pleaded guilty to criminal price-fixing charges after a U.S. Department of Justice investigation.